Today's post is another Home DIY post. 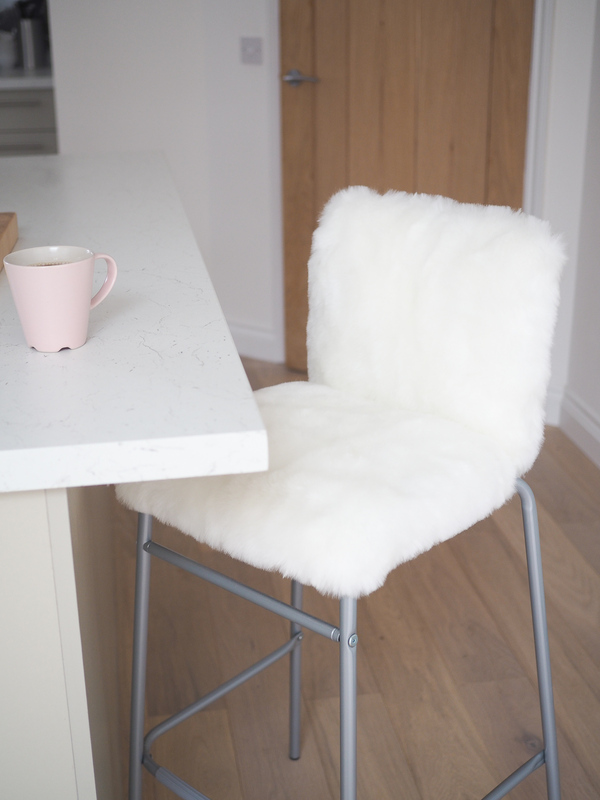 I wanted a couple of bar stools to sit up at the breakfast bar but as we couldn't find any that we really really liked I decided to up cycle a cheap stool and that's how I came up with this DIY Faux Fur Bar stool which is an IKEA hack. I already had the faux fur which I'd bought online and the pile length was too short for my Etsy shop so it was going unused. I had a long rectangle approx a metre and a half long and this was perfect. 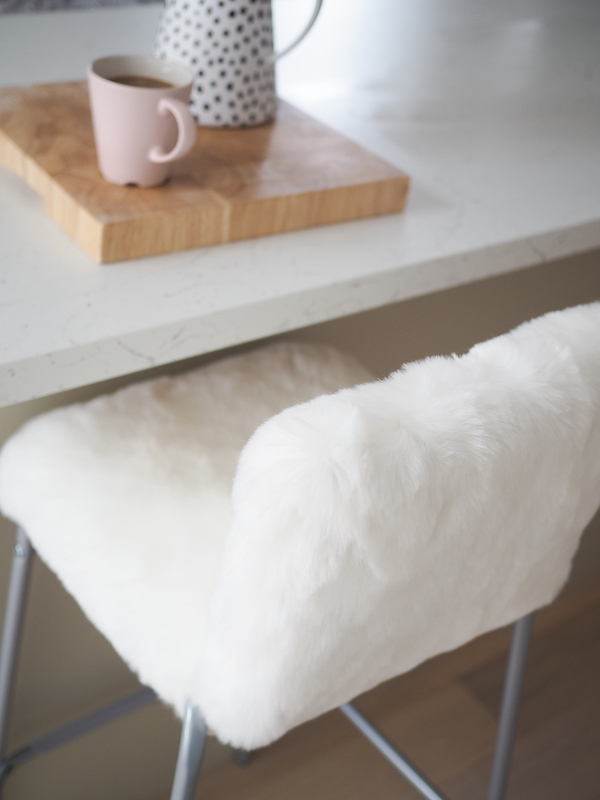 You could use any colour of fur you liked and you could also utilize a throw or a blanket too! 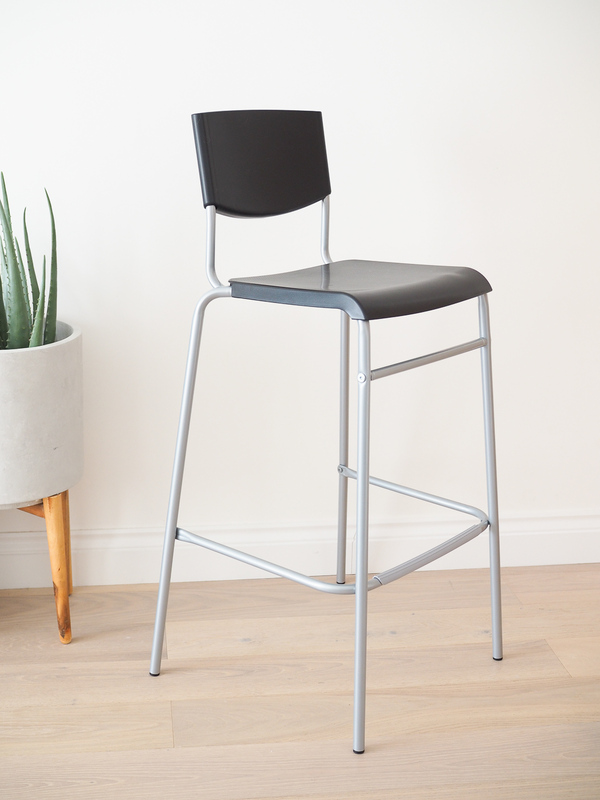 The IKEA stool is the STIG bar stool and is only £10/12 depending on height so super cheap. The tutorial is a bit longer than my usual, but it is really easy as fur is pretty forgiving and you can hide a lot using the fur plush. If your decor is gold you could also prime and spray the stool first so it had gold legs, this would look lush. 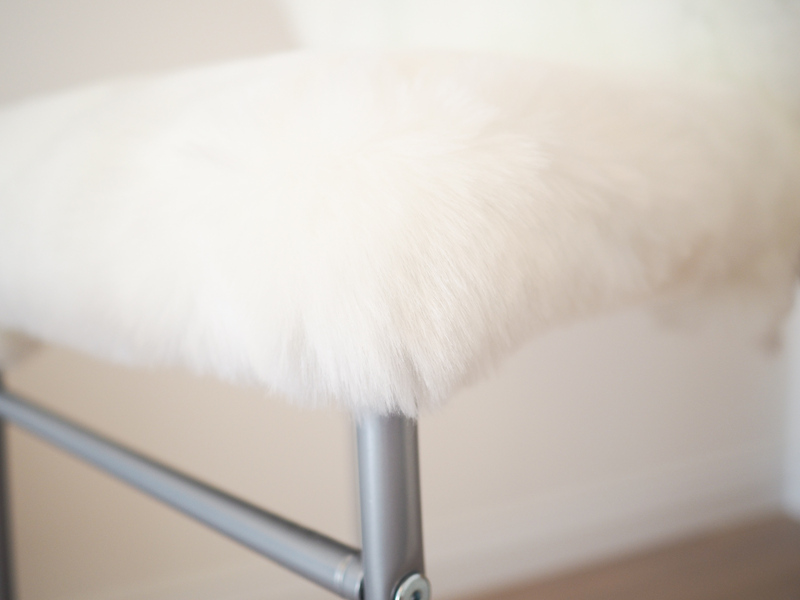 Lay your fabric out on the floor and sit your stool upside down on the edge of the fur with a 15cm ish overhang left. Apply hot glue along the front edge of the plastic seat base, don't go right into the corners. Fold the fur fabric on to the glue and press to stick. Repeat this for the other two sides of the seat base again avoiding gluing the corners. 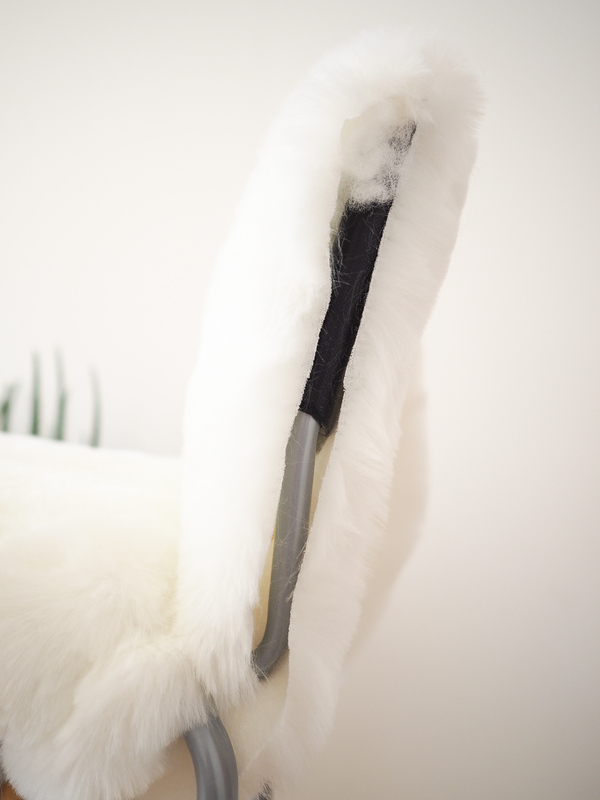 Don't pull the fur too taut, this will allow you to create some height to the seat when you stuff it. Turn the stool back up the right way. Cut open the cushion for the wadding inside and use it to stuff the seat base. 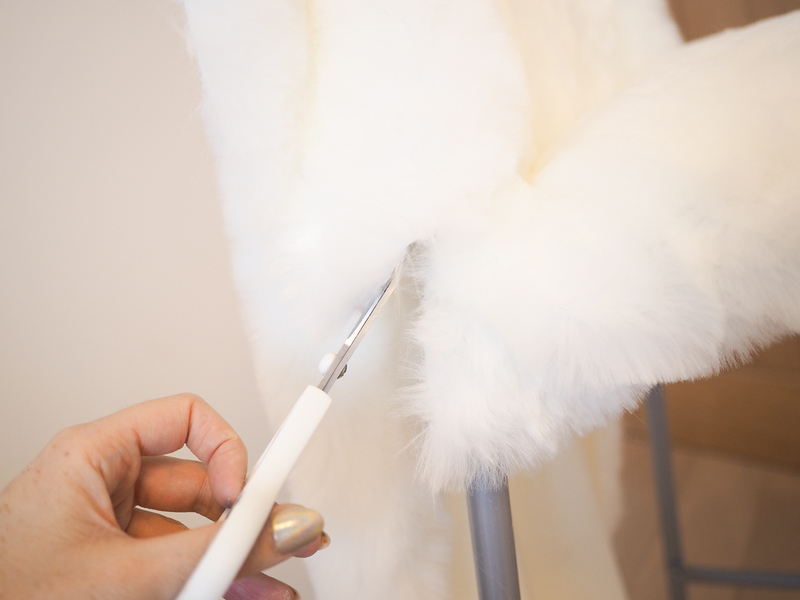 Put the wadding under the fur fabric and create the height that you want and adding wadding down around the edges too. Make sure you stuff it evenly so the seat pad isn't bumpy. 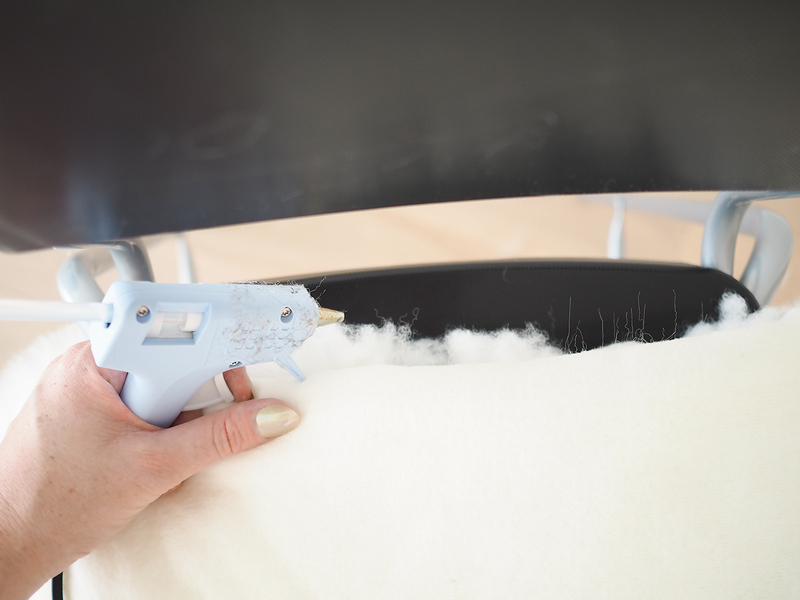 Apply glue to the back of the seat base between the two bars and press the fur fabric along this glue line. This time you can pull the fabric more taut to create a nice neat finish on the seat. 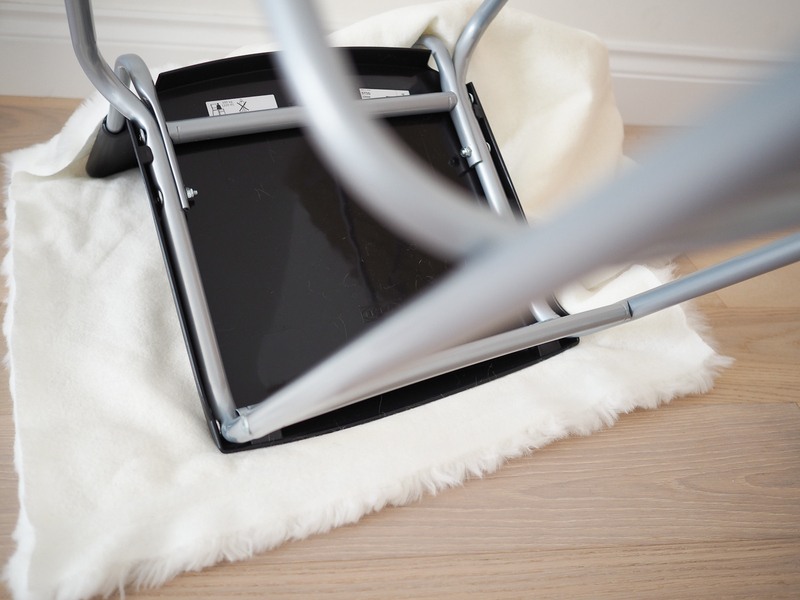 Now run your fur fabric up the seat back and let it drop straight down the back of the stool. 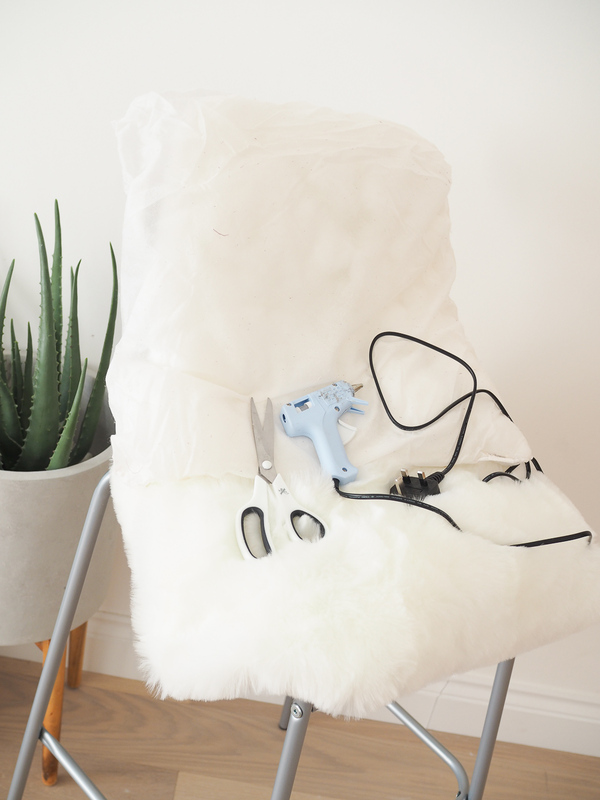 Use your scissors to cut a slit into the fur on each side of the fabric at the back of the stool in the corners. This is to allow you to pull the fabric straight down under the seat base. 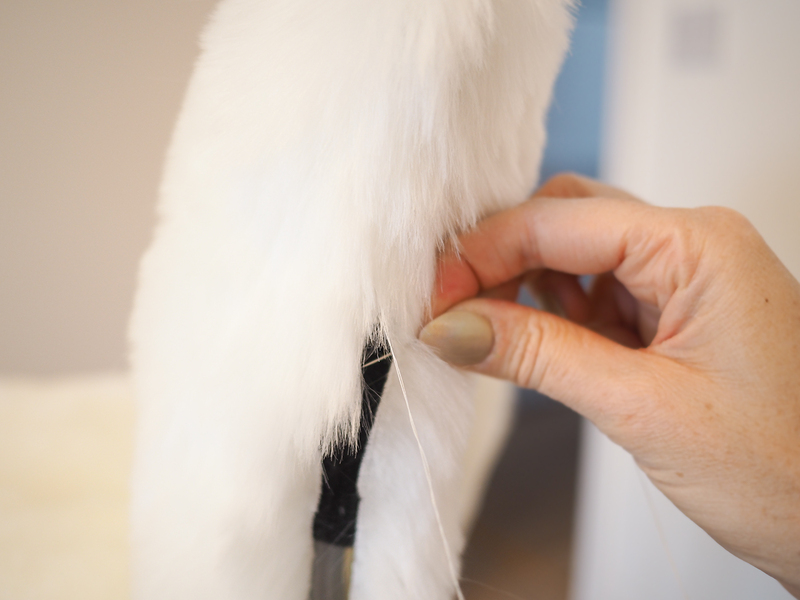 Turn the stool upside down, apply glue to the base of the stool and run the fur straight down the back, trim the excess leaving a 15cm approx flap and press this into the glue. Again don't pull it really really taut so you have room to stuff it. Now stuff your wadding into the back of the stool. You want to pad the seat back front and back and well as filling in the void between the seat back and seat base. Add some wadding along the top of the seat back too. Trim off the excess fur on the seat back leaving only 1.5cm approx each side. Use your needle and white thread to stitch these two sides together. Keep an eye that your are not sewing too much of the plush into your stitches. You can release any of it using a comb. I kept combing mine as I sewed to keep the fur looking nice and fluffy but the fur will hide your stitches so they don't have to be perfect. Sew right down to the base of the stool and finish with a tight knotted stitch. Work your way around the stool finishing off all the corners. 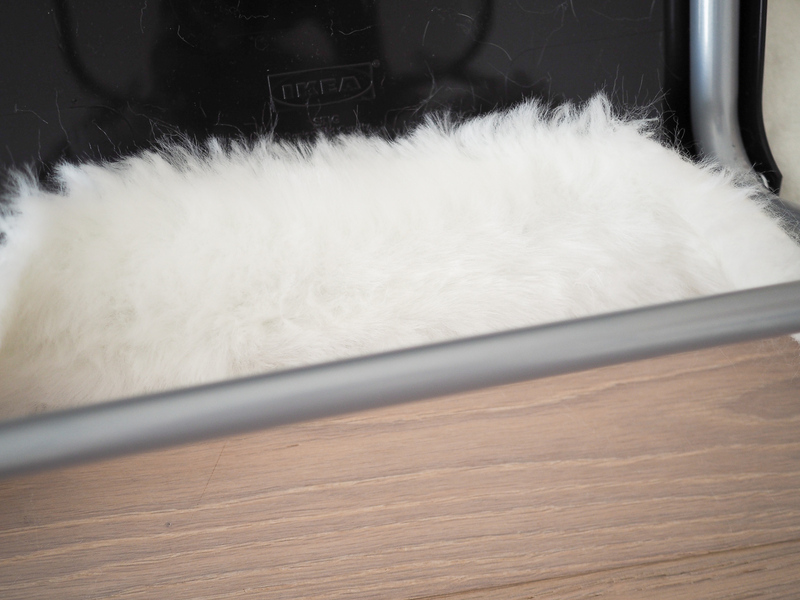 Do this by trimming off the excess fur and tucking under the corners using your scissors and glue to get a really neat corner. 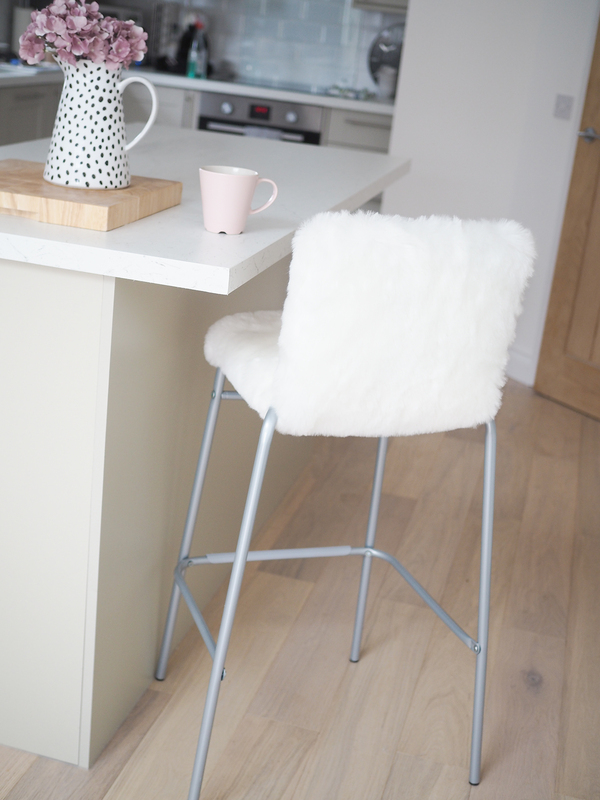 Any excess fur at the back of the stool you can pull and glue to the base of the stool as you won't see underneath. I love how this turned out, so much in fact I'm so tempted to do a second one! Lots of it is just trial and error, keep trimming and gluing till you get the finish you want. 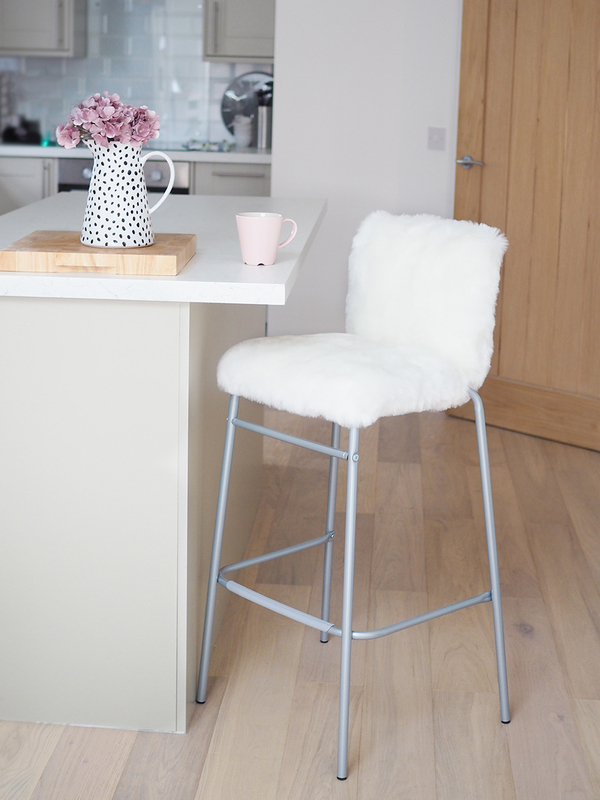 I'd love to know what you think of my DIY Faux Fur Bar stool? Please do let me know if you decide to give this a go!! Make sure you check out all my other DIY Posts too. Hi lovely, I bought it off Ebay but you could also buy a throw from a homeware store? Hi! Do you know how large of fabric I would need? I also just bought 3 chairs and looking to make them this weekend :) thanks so much! 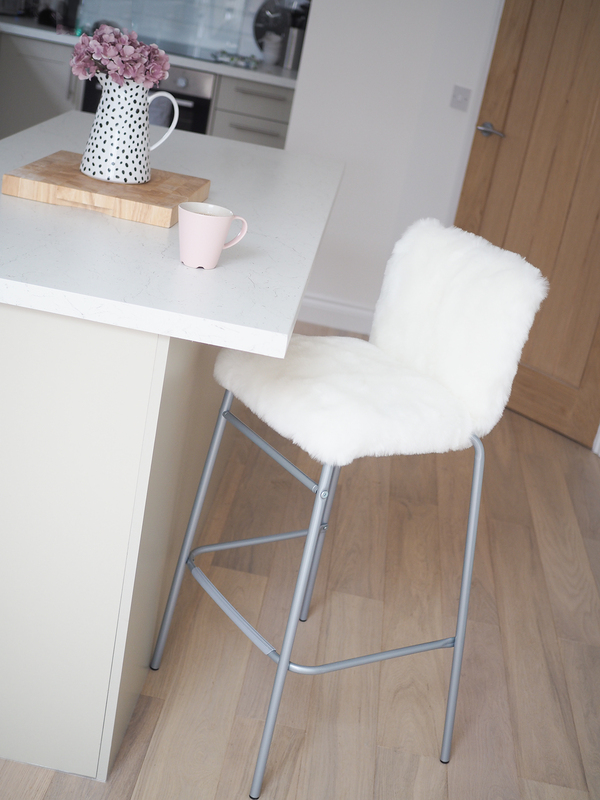 If you measure your stools and allow around 10cm excess for folding over and gluing. 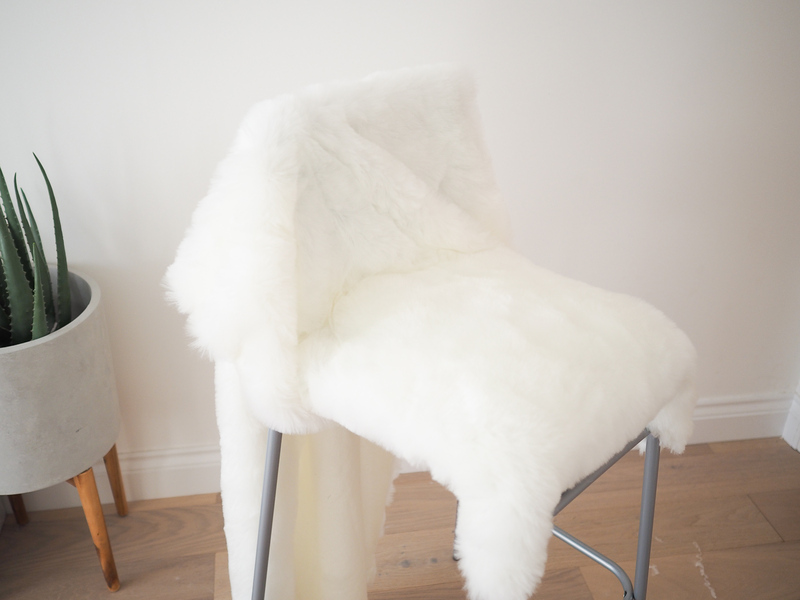 I got my fabric from a fabric shop which will usually sell different types of faux fur, or you could try eBay too.